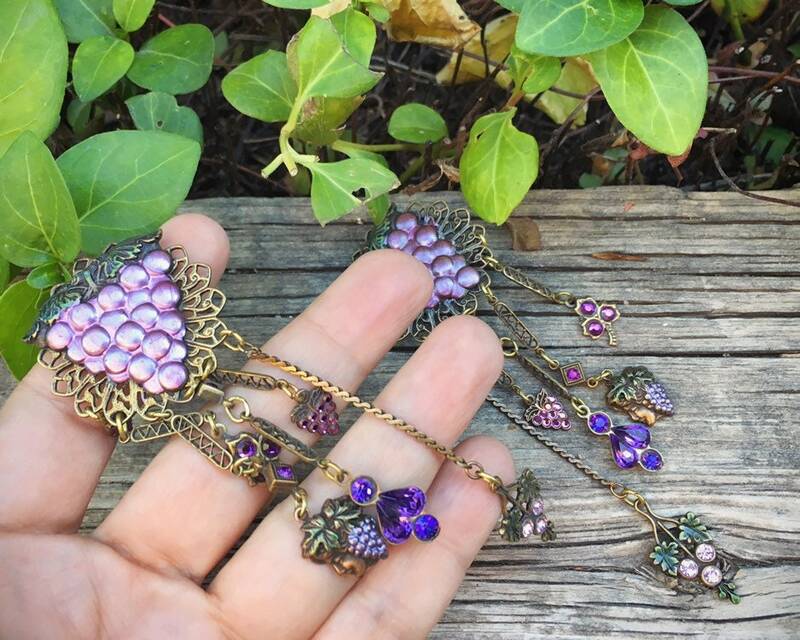 These are one of the most fun and fabulous pairs of vintage costume jewelry earrings I've ever found, and that's because they so perfectly embody the wonderful luscious grape! 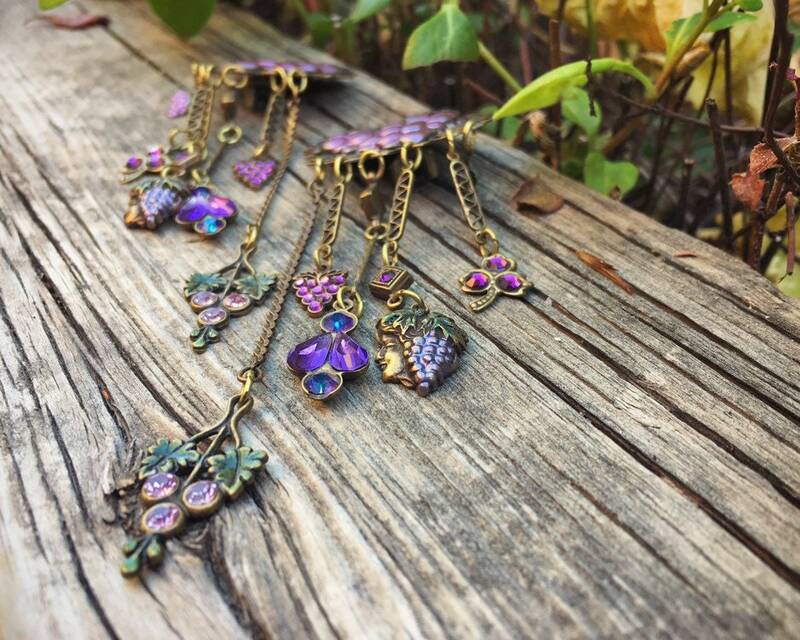 The main body of the earring is a thin two-dimensional grape cluster, hanging from which are several varying lengths of chains each with a grape themed charm. 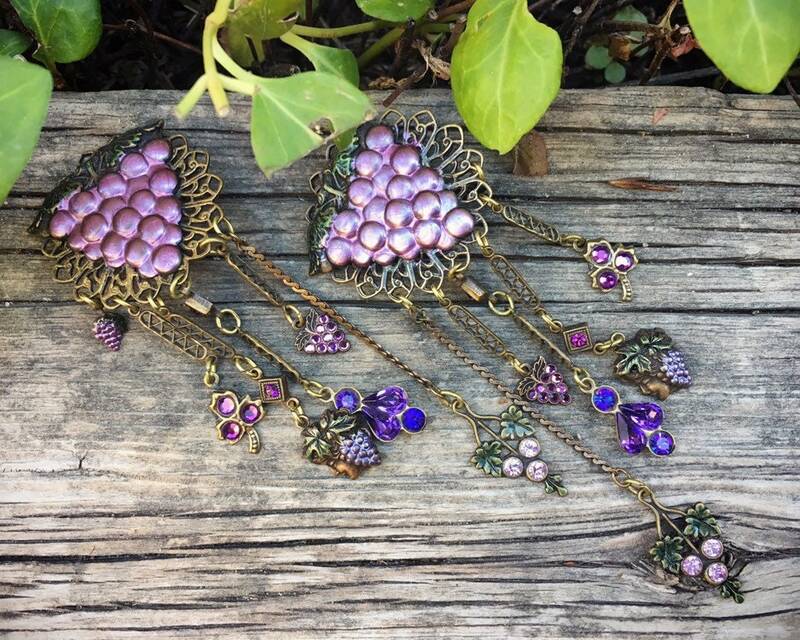 The longest of the chains is quite long, and so these earrings have real presence and are sure to be a conversation piece. The backs have clips yet the earrings could be converted to pierced by clipping off the backs and adding a bronzed French hook. I am not going to do that work, as I love them as clip ons. 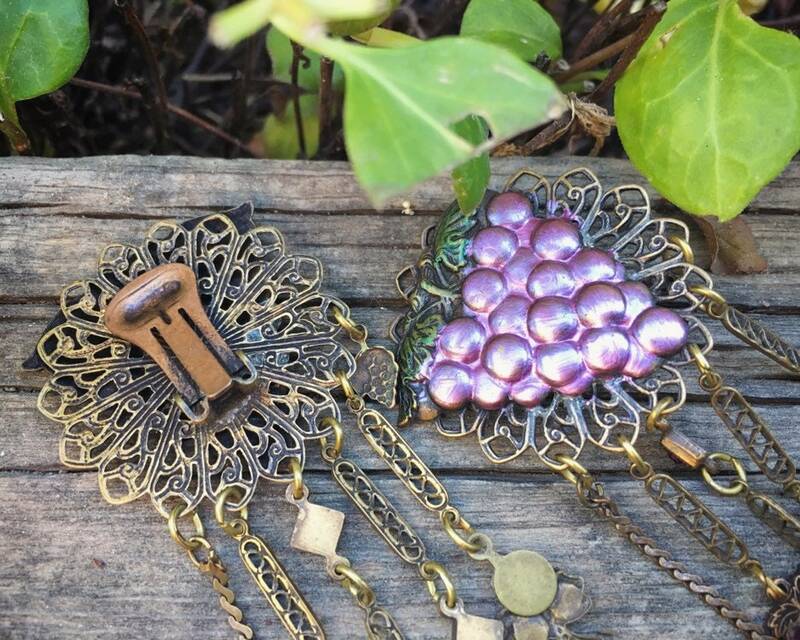 But if you fall in love with the earrings and are handy with a metal clipper and jewelry making tools, you can fairly easily do that modification. 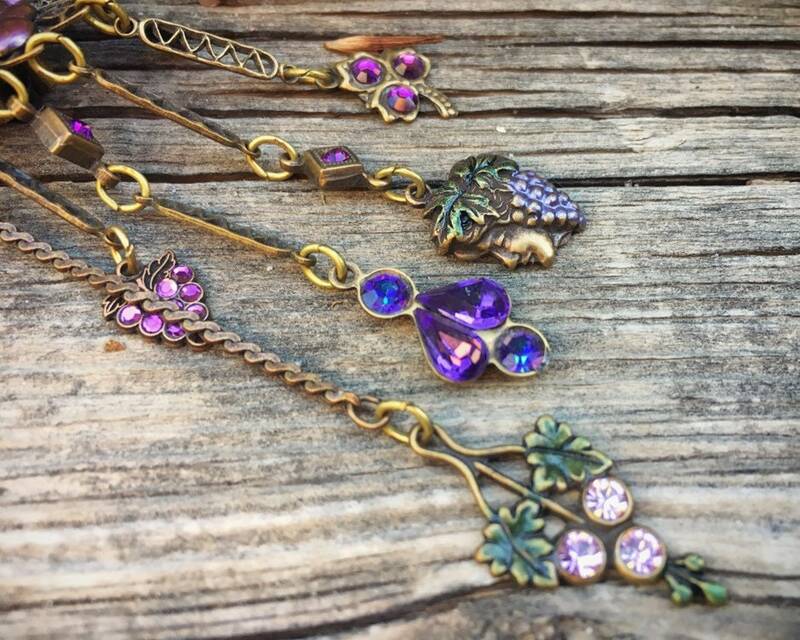 They meausure about 4-1/4" long from the top of the main part to the bottom of the longest chain and charm, by 1-1/4" wide. Some discoloration on the back from age but otherwise in good condition.